Membership is free. All you need to do is click here to register, complete the required information needed and create your own username and password. You will then be provided with a permanent buying number and this will allow you to bid online for the sheep auctions that you want to participate in. STEP TWO: BID AND BUY WITH CONFIDENCE! 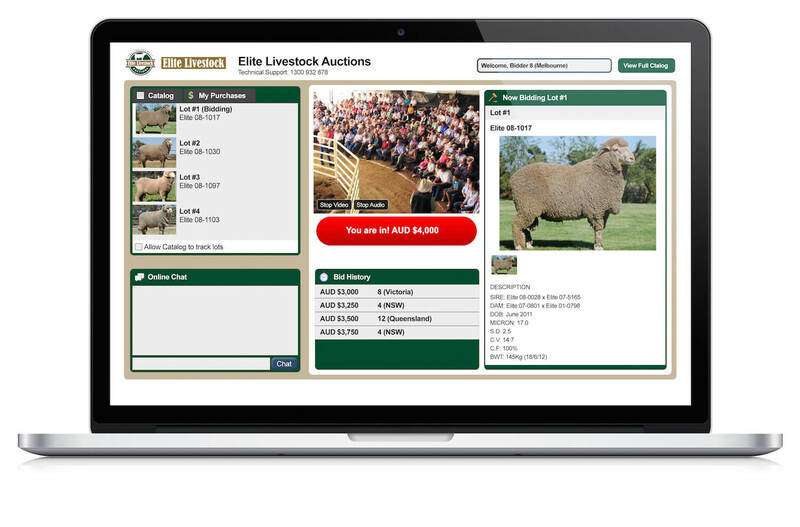 On sale day, simply login, browse to the sheep auction that you desire to participate in, and click the “Stock Live” button. Easily follow along with the sheep auction, and when the price that you want to bid appears, click on the bid button. You will be told if you are the current high bidder, and if you are the successful winning bid. If you are unable to participate live, you are encouraged to leave an absentee bid. Simply browse to the sheep auction and lot that you are interested in, enter your absentee bid in the box, and click submit. Elite Livestock Auctions will execute your bid at the appropriate time on your behalf.